Welcome University of Incarnate Word Fall Semester 2017! Understanding Human Trafficking in the U.S.
for parents, educators, faith community & concerned citizens. Parking is on the fourth floor of the garage - walkway from 4th floor leads directly to 3rd floor of Callaghan Tower. PROJECT OVERVIEW: We are currently in development of Liars and Posers -The Book, which is aimed both at young readers and parents. 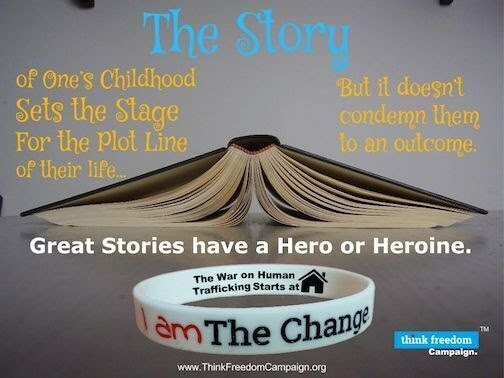 The book is designed to use real stories about how young people have been lured into trafficking through deception. The uses real incidents of trafficking to illustrate the red-flags of deception that is the L.I.A.R.S and P.O.S.E.R.S system. This system is designed to teach young people to recognize the common types of deception used then traffickers connect in person and when they connect online. Liars and Posers Book is based on our Prevention seminar that goes by the same name. More information on this prevention seminar is available at www.LiarsAndPosers.com. If you have any interest in participating in this project please CLICK HERE, and indicate your interest in LnP Book Project. A new website to promote Liars and Posers Prevention Program to School Districts, Charter Schools, Anti-Trafficking Agencies, Trainers, and others is under development. This site will provide information on the prevention program, licensing, training as well as support information. Freedom Youth Project intends to aggressively market this program to make it available in as many markets as possible. If you have any interest in participating in this project please CLICK HERE, and indicate your interest in LnP.org Development. FreedomYouth Project is by virtue of our name, "project oriented." We develop and deliver public awareness training, prevention programs, and tools and training for those who have direct interaction with survivors of trafficking. Our initiatives require a diverse skill-set usually not found in one person, but a team. Fundamental to having a capable development team, is developing a library of what we refer to as "Rose Based Training." Developing Role Based Training (RBT) for our employees, interns and volunteers not only enhances our abilities. It also provides an opportunity to develop best practices for develop Role-Based-Training for different staff "roles" at shelters working with survivors of human trafficking.